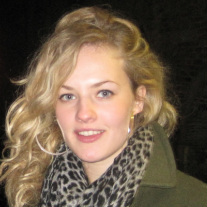 Helen Olley has recently finished her Masters programme in Modern Languages at Oxford University and is looking forward to moving up to Westminster to begin work with the St Stephen’s community. She took her undergraduate degree in English Literature also at Oxford, before which she worked in a bookshop. In her free time she has worked as an English Language tutor and promoted the work of Christian Aid, abseiling down a church tower to raise money for their initiatives. She will bring her books with her to Westminster and hopes to have some time to keep reading as a pastoral assistant.